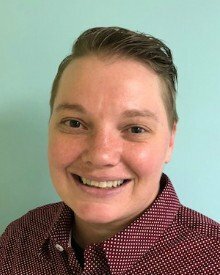 Amber Gale joined Interfaith Action in November 2018 in the new position of rapid exit caseworker for Project Home. In her role, Amber helps families reduce the length of their stay in shelters and prevent renewed homelessness. She has a passion for bridging the gaps between families experiencing homelessness and affordable housing. She also believes strongly in the power of the interfaith community to heal families. Amber previously worked at Dungarvin Minnesota as a lead case manager supervisor and with Dungarvin Milwaukee as a clinical manager in charge of supportive independent living apartments for people with developmental disabilities. She was also an emergency social worker at the University of Wisconsin emergency department. Amber earned a degree in criminal justice from Madison Area Technical College, a bachelor’s degree in human services at Upper Iowa University, and a master’s degree in social work with a concentration in mental health from the University of Wisconsin. She is a Minneapolis Police Reserve, Red Cross disaster mental health volunteer, Dakota County Medical Reserve Corp volunteer, and mission volunteer with Healing Haiti. Amber is a member of Grace Lutheran Church of Northeast Minneapolis and Queer Grace Community, a safe space for Christians of the LGBTQIAPK + umbrella. She and her partner are planning a September 2019 wedding.